What You Drive To A Saturn V: In 1969, Apollo 12 astronaut Alan Bean became the fourth human to set foot on the moon. 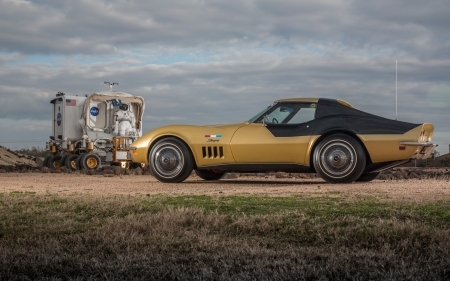 Back on Earth, this very special AstroVette rocketed him home from work. Love this Car a lot!